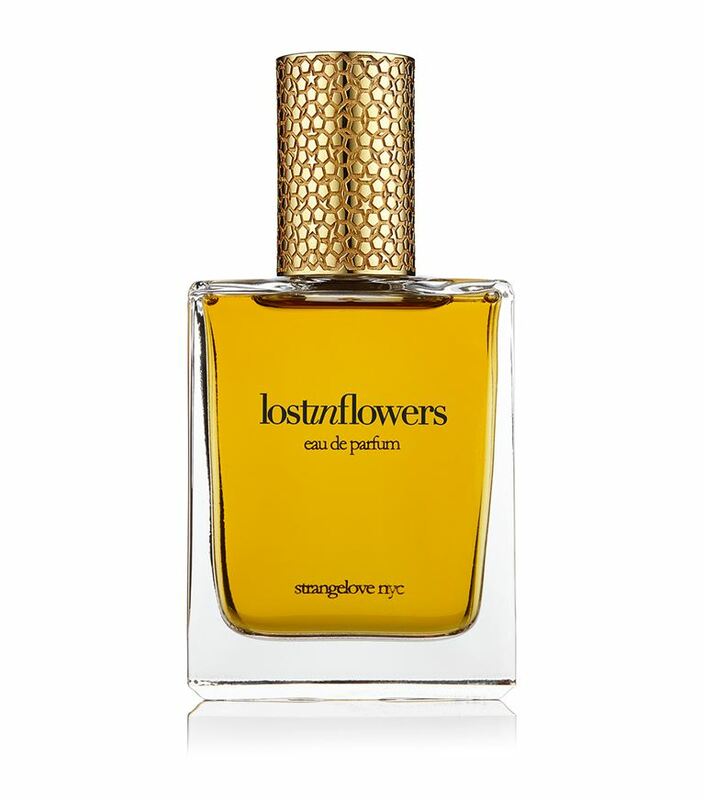 When I first tried the Strangelove NYC line¹, I was immediately drawn to Lost in Flowers, a gorgeous floral. One thing I learned about this brand is that it does contain a high amount of naturals so patience is key. This means that these will change on your skin so a first impression is only that, a first impression. I’m lost in flowers as soon as I put on Lost in Flowers. It’s a fresh, heady white floral that smells realistic, like standing in the middle of a botanical garden. It wears as a salty lily, fresh jasmine and orange zest. There are many lovely florals already on the market. What I like about Lost in Flowers is there is a suggestion of decay or an overripeness. There’s an oud giving the impression of wilting flowers or like a vase of Asiatic lilies that are getting their vermilion-hued pollen all over the place. The oud is funky, fungal and only noticeable up close. This “rot” adds a sultriness to an already sultry fragrance. The heart of the fragrance is a salty, radiant bouquet of lilies, gardenia, champaca and magnolia. OK, so this all sounds like a floral, right? Just like the name implies, right? Well, it eventually morphs into this soft pillow of oud-musk. It sort of reminds me of CB I Hate Perfume CBMusk (one of my all-time favorite musks). It’s simple but surprisingly complex – powdery, fungal, funky and spicy. It’s the perfect dry-down for such a realistic floral. Gives Lost in Flowers a try if you like heady, realistic florals, especially gardenia or champaca. Or perfumes like Aftelier Cuir de Gardenia, Ayala Moriel Parfums Yasmin, JAR Jardenia, Maria Candida Gentile Lady Day and/or Dusita Melodie de L’Amour. I’m reviewing the perfume oil. Like most oils, it wears closely to the skin. Projection is below average and longevity is above average. An EDP is also available. The 1.7 oz retails for $475 at Luckyscent. Samples of the oil and EDP are available for purchase. Victoria’s Final EauPINION – Intoxicating white floral. Absolutely gorgeous and completely out of my price range. ¹You can read more about my experiences with the brand with my review of Melt My Heart, a chocolate oud. ²Chemist and perfumisto, Colognoisseur has a write-up describing what this aromachemical is and what it smells like. *Disclaimer – Sample provided by the brand. I am not financially compensated for my reviews. My opinions are my own. Product pic from Harrods. Linda Evangelista photographed by Steven Meisel from Vogue Italia 1991.